How can marketers and entrepreneurs get the job done? Commitment is the third component of capability-building. This entails leadership and communication skills and recognizing the different types of obstacles within a company. It also includes helping people realize the need for change and to embrace change in a way that does not violate the space of others, thatallows resistance in a respectful manner, that acknowledges feelings and that gives more information when needed in order to win people over not just intellectually but with emotional connectedness. 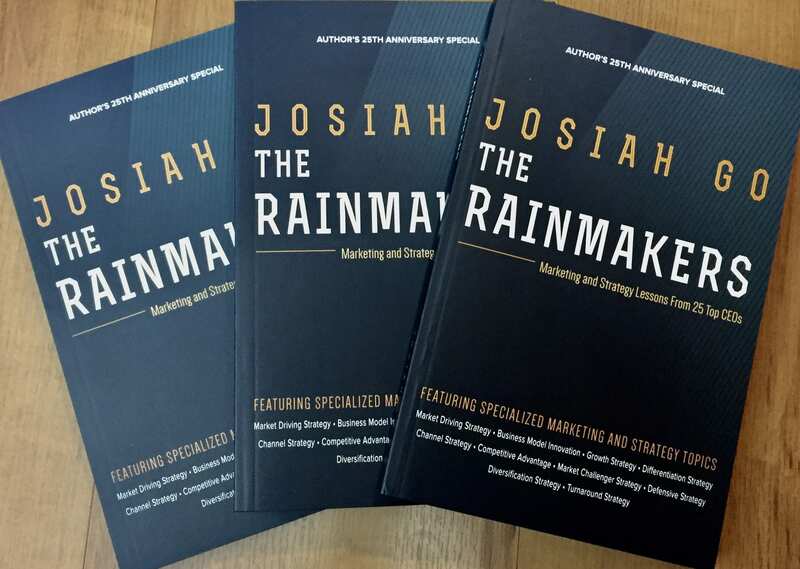 Josiah Go is Chairman and Chief Marketing Strategist of Mansmith and Fielders, Inc., (www.mansmith.net), the leading marketing, sales, strategy and innovation training company in the Philippines. The above topic is part of the book “The WE Entrepreneur:Understanding the five tasks and the five treasures in every enlightened entrepreneur’s journey” authored by Josiah Go and Mansmith CEO Chiqui Escareal-Go. He can be contacted at josiah@mansmith.net. Please also send your marketing, sales and strategy questions to mentors@mansmith.net.